**** Power Windows *** Power Locks *** Tow Package *** Running Boards *** One Owner **** Ewald Chrysler Jeep Dodge Ram Oconomowoc also offers extended vehicle service contracts so our Mukwonago area drivers enjoy a worry free used car, SUV or van ownership experience. 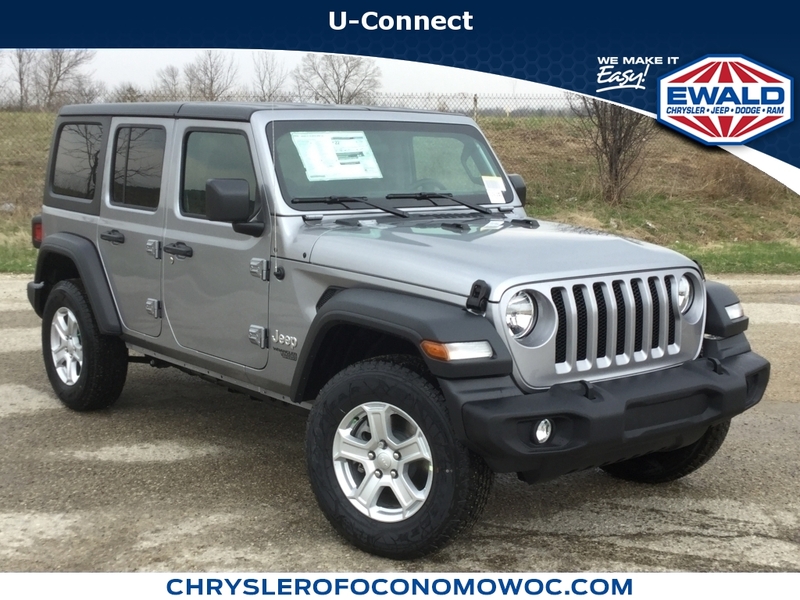 This four wheel drive 2012 Jeep Wrangler Sahara is one of those used cars Milwaukee, WI shoppers seek out for its Silver exterior with a Black Interior. 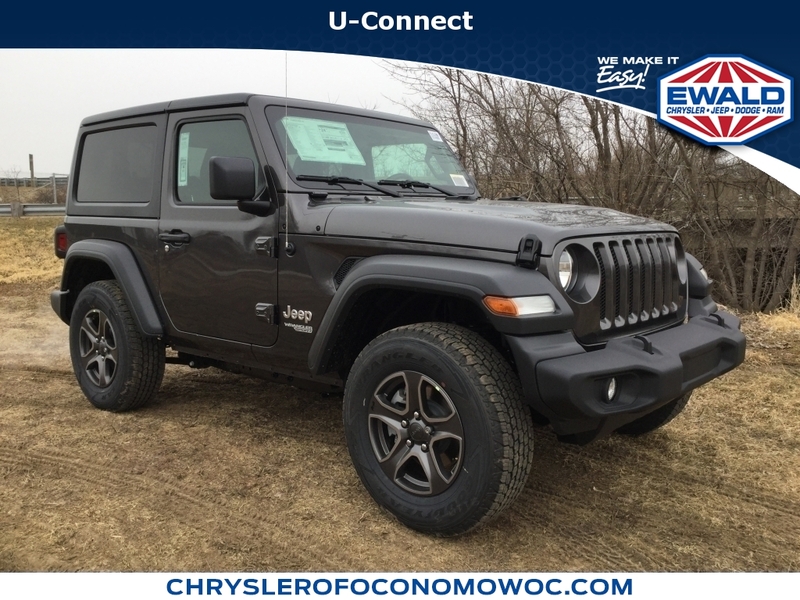 With 45,472 miles this 2012 Wrangler with a 3.6l v6 24v vvt engine is your best buy near Milwaukee, Mukwonago, Watertown, Waukesha, Oconomowoc & Brookfield, WI. TECHNOLOGY FEATURES: Steering Wheel Audio Controls, an Auxiliary Audio Input, an Anti Theft System, an Outside Temperature Gauge, and a Single-Disc CD Player. Your Silver 2012 Jeep Wrangler Sahara near Watertown is available for immediate test drives in Oconomowoc, WI. STOCK# CN1592 PRICED BELOW MARKET RETAIL VALUE! Ewald Chrysler Jeep Dodge Ram Oconomowoc has this used 2012 Jeep Wrangler Sahara competitively priced for a fast sale today. With Ewald Chrysler Jeep Dodge Ram Oconomowoc exclusive MAX Allowance® vehicle purchase or trade in program you can use your smartphone to get a Considerate Cash Offer™ and receive a check for your used car, truck, SUV or van today. Ewald Chrysler Jeep Dodge Ram Oconomowoc always pays trade in prospects and for sale by owner vehicle sellers in Southern Wisconsin MAX Allowance® for their private seller vehicles. Even if you don’t plan to purchase this 2012 Jeep Wrangler Sahara from Ewald Chrysler Jeep Dodge Ram Oconomowoc; we want to buy your vehicle for MAX Allowance®. 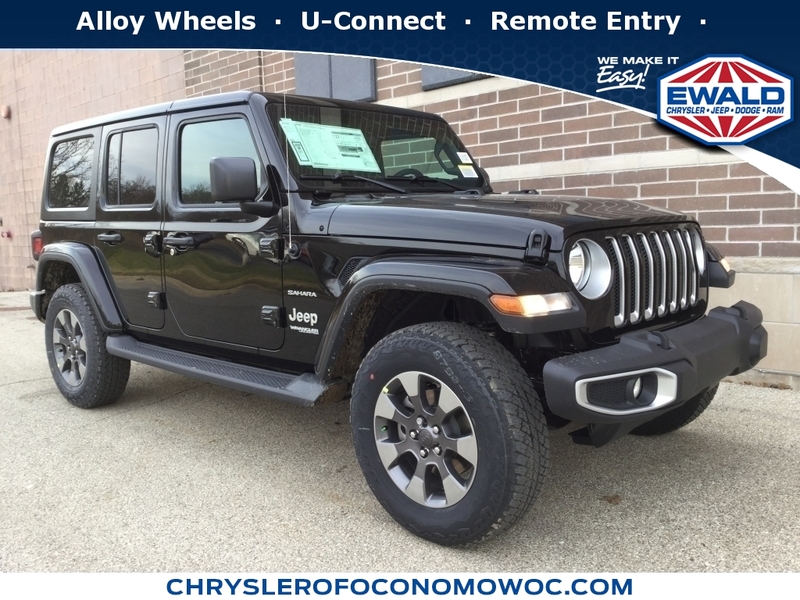 Our Car Dealership in Oconomowoc : Call Ewald Chrysler Jeep Dodge Ram Oconomowoc today at (262) 228-6733 TO SCHEDULE YOUR TEST DRIVE of this 2012 Jeep Wrangler Sahara! Ewald Chrysler Jeep Dodge Ram Oconomowoc serves Milwaukee, Mukwonago, Watertown, Waukesha, Oconomowoc & Brookfield, WI. You can also visit us at, 36833 E Wisconsin Ave Oconomowoc WI, 53066 to check it out in person! Ewald Chrysler Jeep Dodge Ram Oconomowoc Used car dealership only sells used cars Milwaukee, WI buyers can trust for safety and worry free driving. MECHANICAL FEATURES: This Jeep Wrangler comes factory equipped with an impressive 3.6l v6 24v vvt engine, an 6-speed manual transmission. Other installed mechanical features include Power Windows, Heated Mirrors, Power Mirrors, Traction Control, Cruise Control, a Tire Pressure Monitoring System, Intermittent Wipers, Variable Speed Intermittent Wipers, a Trip Computer, a Tachometer, and Power Steering. Ewald Chrysler Jeep Dodge Ram Oconomowoc is Southeast Wisconsin's only location where you can test drive a new, used or Certified car. That’s why more Wisconsin used car shoppers and owners drive to Ewald Chrysler Jeep Dodge Ram Oconomowoc in Oconomowoc for used cars, trucks & SUVs sales, service, parts and accessories. That’s why we offer the MAX Allowance® smartphone communications system where you can share photos, video and vehicle history details with our Seller’s Agents. Ewald Chrysler Jeep Dodge Ram Oconomowoc will assign you a MAX Allowance® used vehicle Seller’s Agent who will work with you to review your vehicle’s unique value to our Used Car, Truck & Van Buying Division. Say goodbye to disappointment around the trade in part of your deal when buying this 2012 Jeep Wrangler Sahara. Why utilize Chrysler Financial Financing? You can use our Jeep Dealer car payment calculator to calculate your payment on this Silver 2012 Jeep Wrangler Sahara. Our Ewald Chrysler Jeep Dodge Ram Oconomowoc Jeep Chrysler Financial Specialists work with every level of credit and Jeep Financing needs. From bad credit car financing to the highest credit scores, our Chrysler Financial experts offer more and better credit options than used car lots in Mukwonago, WI. The Ewald Chrysler Jeep Dodge Ram Oconomowoc used car dealership in South Wisconsin is an easy drive or fly in from anywhere in the United States. Our car lot sits just west of Milwaukee, Wisconsin where your 2012 Jeep Wrangler Sahara will be waiting for your test drive and/or shipping instructions.